The cleaner the machine, the cleaner the image! Who wouldn’t want the best hands in the business to take care of their all-important automobile? If your car is the object of your affection and pride and you want nothing but excellent car maintenance, and service, you have come to the right place, for no one knows car maintenance better than us. Our name is our motto: Clean Machine! Yes, that’s right, clean inside and clean outside. We don’t settle for anything less. And neither should you. The pride, expertise, and experience of a father and his two sons ensures that each customer is treated as royalty! Not only does each and every product come with a manufacturers warranty, the installations and service procedures are assigned to the best of hands. Once you drive in, a complete assessment of your vehicle is made. Timely delivery along with accurate cost estimates are provided to the customers. We value our word, and once a commitment has been made, consider it as good as done. 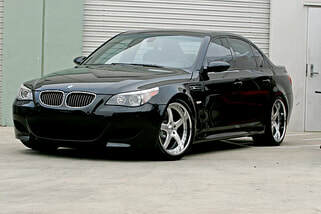 Bring a car of any size, shape or color and The Clean Machine guarantees that the transformation you see will leave you exuberantly happy with your ride from the Interior to the exterior, polishing to paint protection, we do it all, and do it with skill and dedication to giving our customers the best money can get! • Auto Detailing – Be it interior, exterior or engine, at The Clean Machine best in class auto detailing is provided to the customers. Auto detailing ensures that your vehicle is completely transformed from its abused old state to almost brand new! The staff spends tedious hours to first assess the condition of the interior, exterior or engine of the vehicle. Then they chart a plan of action to give the car a makeover. After consultation with the owner, they dedicate long hours on detailing every inch of the automobile, guaranteeing that it gets a royal treatment, just like you! • Three Stages of Polishing – We use a state-of-the-art high speed polishing wheel to remove all kinds of scratches and imperfections from the automobiles paint finish. It is then sent for polishing, where only superior quality polishing compounds are used. This process removes every small scratch. Finally, the best quality wax is used for waxing the polish. This ensures that the paint finish stays protected for over a year. 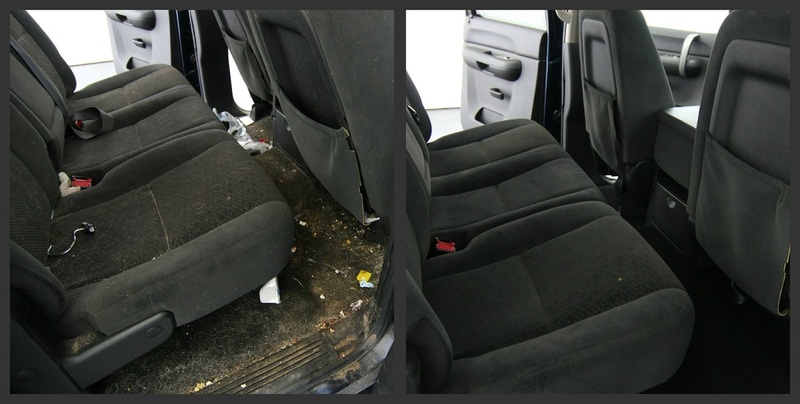 • Complete Interior Clean – This includes leather, fabrics, carpets, detailing hard surfaces, shampoo carpeting and seats, scotch guard carpets and upholstery, double glass cleaning and conditioning and protecting the leather. • Traditional Full Detail –A complete auto cleaning is initiated which includes interior and exterior as well as engine and under-carriage clean up. The entire automobile is checked and cleaned to perfection. • Exterior Cleaning – Includes hand wash, hand dry, hard carnauba wax, paint sealant protection, scratch reduction, compound, polish, touch-up, wheel and tire cleaning, tire dressing and double glass cleaning. Apart from the above mentioned services, we offer used auto sales, auto window tinting, residential and commercial tinting, window and windshield replacement, clear bra paint protection, ozone smell eliminator service and much more. The Clean Machine is your one-stop shop for all car servicing needs. You can drive in, in any car, in any condition, but we promise when your car leaves our shop it will swell your heart with pride and onlookers’ with envy. You might find a cheaper detail, but a better one is not to be had! original form. This is the most common auto detail and the detail we recommend for most vehicles. If you want the most bang for your buck the Traditional full detail is the best choice for you. At the Clean Machine you can expect only the best. We always deliver high quality auto detailing. There is not a job to big or to small we can't handle.